This keto-friendly recipe is a flavorful and tangy alternative to the typical basil-and-pine nut affair. As a bonus, all of the ingredients pack quite the nutritional punch! Hemp seeds alone offer up a complete spectrum of amino acids, while olive oil is high in mono-unsaturated fatty acids and parsley, garlic and lemon all have been shown to have anti-cancer properties. Not too bad for a quick and easy recipe! This originally started out as a project for school when I was studying nutrition – I was tasked with creating a nutrient-dense recipe with medicinal herbs as a base. I ended up using this recipe so much that I decided to post it here. This vegan and nut-free pesto makes a great topping for garlic bread and can be used as a sauce for pizza and even as a salad dressing. I also like to mix a tablespoon of this pesto in with cauliflower rice. To make this low-FODMAP, simply omit the garlic. 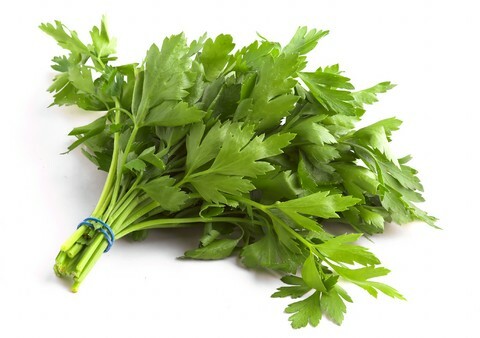 Wash and remove stems from parsley and place parsley leaves in the blender container. Add half the hemp seeds, lemon zest, garlic and ¼ cup of the olive oil. Place on the blender lid and turn to low. After the ingredients have been ground to a paste, slowly drizzle in the remaining olive oil until the pesto has a thick consistency, similar to that of mayonnaise (you do not have to use all of the oil!). Once the rest of the olive oil has been added, pour in the rest of the hemp seeds, and let the blender run for 2-3 seconds more. Pingback: Vegan Keto - Week two | meshell in your city.